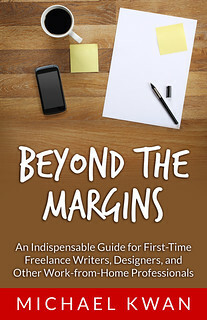 Some of you may know me best for the blogging I do here on Beyond the Rhetoric, but my “day job” as a freelance writer means that the majority of the content that I write ends up getting published elsewhere. And while I do cover a fairly broad range of subject matter for my clients, a good amount is focused on the world of technology, particularly consumer electronics and gadgets. It’s actually been a while since I’ve done one of these roundups, so I thought I’d share some recent articles that I’ve been writing. In some sense, this will offer another glimpse into what I do for a living. “For some of you, you may have come to respect the nature of working from home and earning a living from the Internet, even if you don’t completely understand it. For the rest of you, you might see this digital entrepreneurship as a “phase.” Believe me; it’s not a phase.